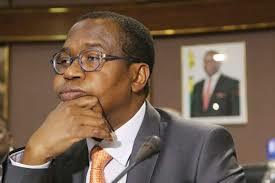 Government has made progress in terms of achieving conditions that need to be fulfilled on the macro-economic front before the reintroduction of local currency, according to Finance and Economic Development Minister Professor Mthuli Ncube. This follows Minister Ncube’s announcement recently that the country will have its own currency within the next 12 months as Government moves to deal with inflationary pressures among other factors that are impeding economic turnaround efforts. In an interview with Bloomberg in Davos – Switzerland on Monday, Minister Ncube indicated that he is implementing a cocktail of measures that include enforcing fiscal discipline, cutting runaway Government expenditure as well as increasing compliance on the country`s revenue collection front. He said these measures were key towards creating an enabling environment for the reintroduction of the local currency. He added; “Also making sure there is compliance on the revenue collection front — we need to build the micro-institutions for full monetary policy conduct in the sense of introducing a monetary policy committee, making sure we put in place a framework for inflation targeting but also growth targeting.